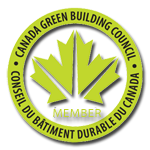 As a member of the Canada Green Building Council® it is our commitment to take care of the environment and observe the highest standards of accountability at all times. Our customers can have peace of mind when dealing with Mini-Load Disposal Ltd. knowing we play an active role in protecting our environment. Not only do we recycle everything we can, we specialize in providing full reporting support services to our clients to help them achieve their LEED® certification goals within the context of their Construction Waste Management Plans. We do this by providing our clients with the strongest reporting protocols in the industry. Call us today and ask us how we can help you achieve your CWM plan goals and objectives.